The journey continues on Wednesday, February 20, as we visit another area sacred space. Join Diane Conroy-LaCivita as she travels to St. Joseph Church in South Troy. St. Joseph Church, once referred to as the “Ironworker’s Church,” was founded May 2, 1847, by Fr. Peter Havermans. In 1848 the Church, serving a mostly Irish-American Community in South Troy, came under the care of Jesuits. The church building is Gothic, cruciform in shape, and erected in the basic style of the 13th century architecture. The Main Altar was built of purest statuary marble and onyx, upon which DeVinci’s Last Supper is carved in Italian Carrara marble. 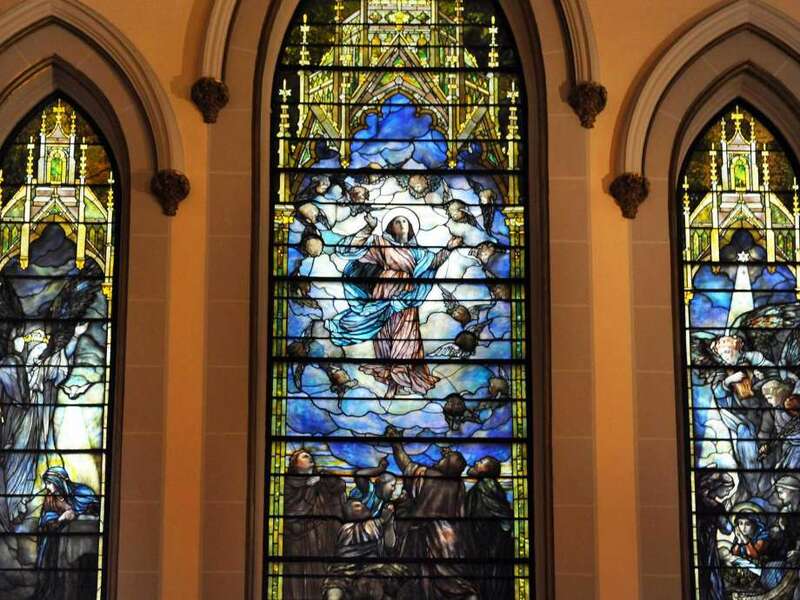 The Stations were imported from Munich, Germany, and St. Joseph Church is host to the second largest collection of Tiffany Stained Glass Windows in the United States. Sometime between 1902-1912, the Pulpit and Baptistry were added. The Baptistry is complete with Tiffany stained glass depictions of St John the Baptist, Mary, and the infant, Jesus. The CSSC shuttle bus will leave The Beltrone Living Center at 9:30 a.m. and return at approximately 11:30 a.m.
To make a reservation, please call Sharon Herald at 518-459-2857 ext. 302.